A huge thank you to the wonderful Dr. Emma Kirke aka Medicinal Kitchen for her guest blog on keeping the winter lurgies at bay throughout the festive season! 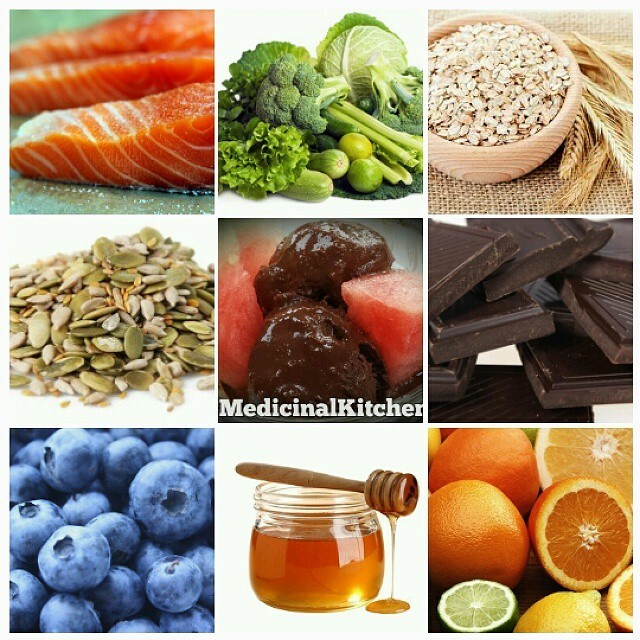 At this time of year I frequently get asked whether there is anything you can eat to prevent colds and flu and what you can eat to help ease the symptoms. Both the common cold and the flu are viruses which will not be put off by your blood tasting funny or eating a lot of garlic. However, in essence you can optimise your immune system to be as strong as possible to help fight off the little blighters or lessen the blow of the symptoms if you are unfortunate enough to be caught out. Let’s start with one of the fabulous foods that I find are overlooked when it comes to health foods, the versatile mushroom. They have two essential components for the cold and flu season, and they are selenium and beta glucan. Selenium helps your white blood cells to produce cytokines that fight illness, and beta glucan is an antimicrobial fibre which helps activate cells that seek out and destroy infection. Tuna is also a high source of selenium, but try to have the fresh steaks as opposed to the tinned variety, irrespective of brine, oil or spring water preserved. Brazil nuts are a rich nut which is high in protein, healthy fats and selenium. The body only needs a small amount of selenium, and eating too much may in fact increase your risk of developing other diseases. Just one nut contains more than your RDA so eat these treats very sparingly and be aware of overdoing them. 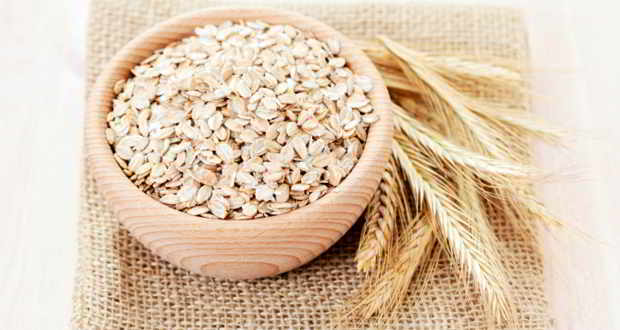 Beta-glucan is also known for lowering cholesterol levels as well as boosting immunity and whether you are trying to reduce your cholesterol by eating your oats in the form of porridge or in a flapjack, you are consuming the fibre which has been shown to help prevent upper respiratory tract infections and alter the white blood cell activity in a positive way. Another favourite of mine that is included in many of my dishes is garlic which is also a strong source of the antimicrobial phytochemical Allicin. 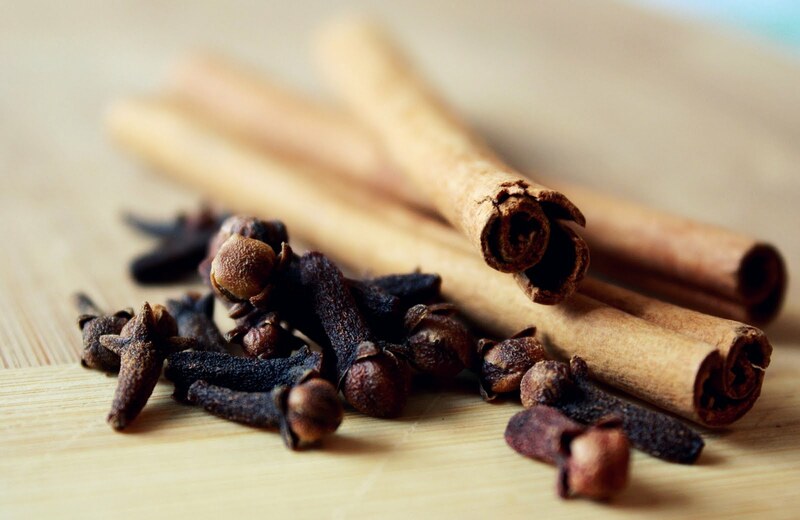 Experts recommend two cloves a day when cooking with it to reduce your likelihood of infection and recovering quicker if you do succumb. In a British study people taking a supplement of Allicin suffered 46% fewer colds and flu. So you literally can stink out sickness, and maybe your work colleagues too if you’re not careful. I would suggest using fresh garlic rather than ground or powdered dried garlic. If you’re not keen on garlic or think you may offend too many work colleagues with the odour you could choose the lowly onion instead. It is a fantastic source of Allicin and Allion which is also an antimicrobial compound. Obviously consumption needs to occur in greater quantities i.e. every few hours you need to consume a portion. If this seems unachievable you could just add extra to your meals. I like to do this as I feel it is easier to achieve and to maintain long term as part of your lifestyle. We all know how beneficial salmon is in our diets but are you eating enough in the winter months to help your body fight infection? The lower your vitamin D the more likely you are to report a respiratory infection than if your vitamin D level is higher. 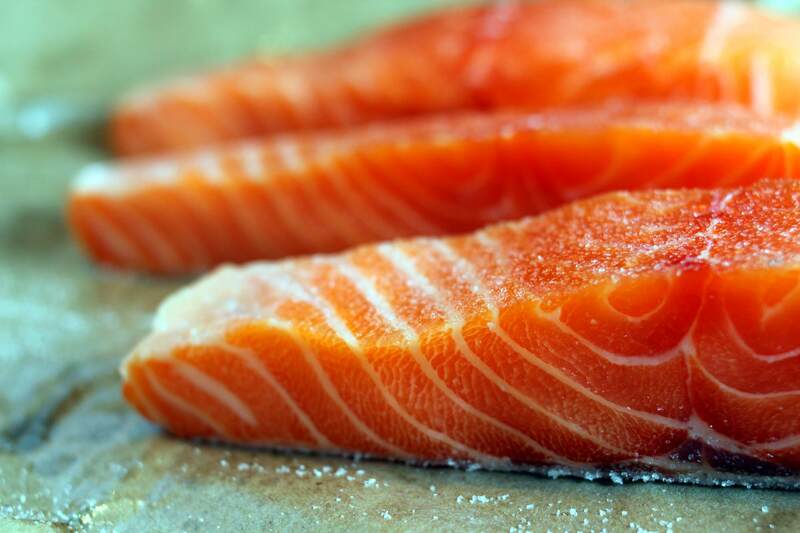 Salmon is an easy way to ensure you are getting enough vit D in winter and a 3.5 oz. serving contains 360 IU approximately. There are some experts that suggest you need as much as 800 to 1000 IU’s per day to protect yourself adequately. I am not really a tea drinker. I love my green tea and fresh mint tea but I rarely partake in a cup of black tea. After reading recent research from Harvard University I may change my mind for the dark months, as they have found that drinking at least 5 cups a day had a huge effect on the immune system by quadrupling the body’s immune defense after 2 weeks. They put this phenomenon down to the presence of theanine and catechins including ECGC which mop up free radicals also. So at least 3 cups of black or green tea a day should go some way to helping you fight off an attack. I’m cow dairy allergic and so I use coconut yoghurt. If you are a yoghurt fan then try to have a serving a day labeled with live and active cultures which will enhance your immunity. Your digestive tract is hugely long and one of your strongest organs for defense, if you keep disease causing germs out with probiotics and prebiotics which are found in naturally fermenting foods like yoghurt, kefir and sauerkraut you will be constantly giving yourself a boost. I take a daily probiotic as a solution to not being able to eat the yoghurt. Now unfortunately for myself I have somehow developed a severe allergy to wine, however if you are a fan of the grape based tipple the resveratrol and polyphenols in red wine work in the same way that beneficial bacteria in yoghurt do. When a cold or flu virus enters your system they start to multiply and these chemical compounds in the wine prevent that from happening. If you don’t or can’t drink this you could eat some grape leaves which are also high in resveratrol. 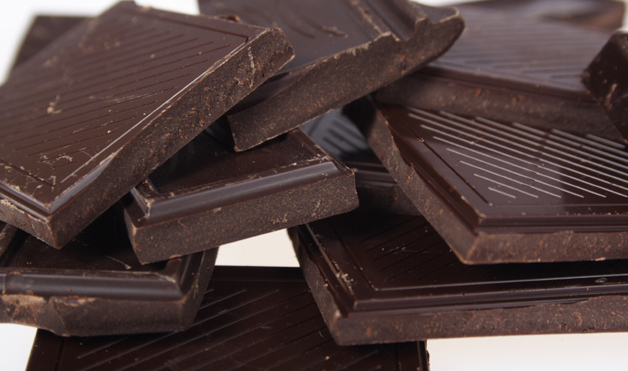 Most nutritional experts will agree that dark chocolate will feature in most “healthy” diets. I paid a visit to Harvey Nichols this weekend and there was a representative giving out samples of a new chocolate that had reportedly 41 proved health benefits and allegedly being endorsed by Scottish Rugby Union as a performance enhancer. Apparently some of the popular brands of dark chocolate ruin the nutritional complex by roasting the cocoa bean to too high a temperature. I always try to buy organic, high quality sugar free chocolate, if you stick to this you should be taking in enough beneficial components to have the effect of boosting your anti-oxidants and supporting your T-helper cells. In any event I love dark chocolate and am fully in support of including it in my diet! Who really includes oysters in their diet on a regular basis? Not me that’s for sure, but apparently we should be contemplating it to boost our immunity. Although I know they are a strong source of zinc which is critical for the immune system as it boosts white blood cells which attack bacteria and viruses like flu or cold, I may have to find my sources elsewhere. If you do find yourself craving oysters though be happy in the thought that one medium oyster provides almost all of your daily zinc recommendation. 6 oysters will give you over 5 times your daily amount. If you need a cheaper more useable source pumpkin seeds are a fabulous alternative to include. I have a serving every day, usually sprinkled into my breakfast. I also use sunflower seeds in my mix as they add a crunchy texture and are one of the best natural sources of vitamin E. vitamin E is an antioxidant that protects cell walls fr4om damage, and one single ounce contains 30% of your RDA, try to select dry roasted rather than flavored or roasted in oil. Vitamin E may also be extremely significant in creating greater lung capacity and reducing the production of phlegm. In 2003 there was a study performed in Scotland that found people with diets high in vitamins C and E were able to fight the harmful process of oxidative stress more effectively. Another strong source of vitamin E is the heart-healthy almond. So combine a daily serving of pumpkin and sunflower seeds with a dose of almonds to reduce your chance of catching colds and especially from developing respiratory infections. Keeping with our theme you will be thinking of plenty of other strong vitamin C sources. Oranges of course which are very Christmassy but also a favorite when you feel like a cold is starting to take hold. But did you realise that one cup of strawberries provides 160% of your RDA. As with all these things vitamin C has long been the favorite choice when battling a cold or flu and unfortunately its effectiveness is debatable, however, I have read studies that show it can reduce the intensity and duration of colds and flu so it is definitely worth a try, especially if it means I get to eat more strawberries and I may not feel as rough for what can feel like a lifetime. Oranges, grapefruit, lemons or limes using a citric fruit in your recipes will provide a valuable amount of this possibly essential vitamin. It is also extremely difficult to overdose on this vitamin so don’t worry about over doing it with enthusiasm as any that remains unused will just be washed out of your body. In fact any berries in your diet will increase the concentration of anti-oxidants to help flight of cold and flu viruses. 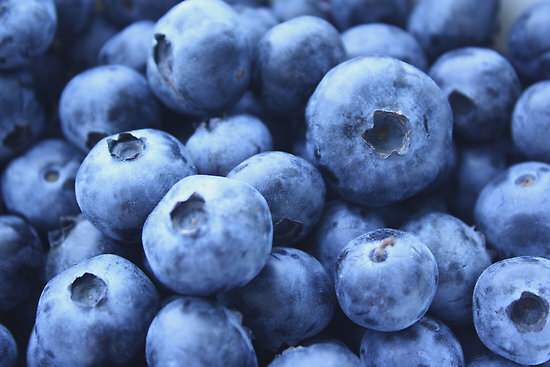 When tested against other foods blueberries were found to have more antioxidants than 40 other fruit and vegetables. ½ a cup of raw berries a day will help you stay healthy, obviously fresh sources are much better, but if you are struggling to find any you can stock up during the summer and keep them in the freezer, or buy the frozen variety from your fruit and veg man. Frozen is not as good as fresh, but its far better as eating them cooked. The only fruit that is perhaps just as good dried and contains more anti-oxidants than blueberries and is a great source of vitamin C is the goji berry. Try to have a portion of these everyday as well. You need fewer to get the same dose and they are kept dried so are very convenient. As with your citrus fruits, red peppers are very high in vitamin C. One red pepper has 150 milligrams of the vitamin nutrient, which is twice as much as the RDA for a woman. 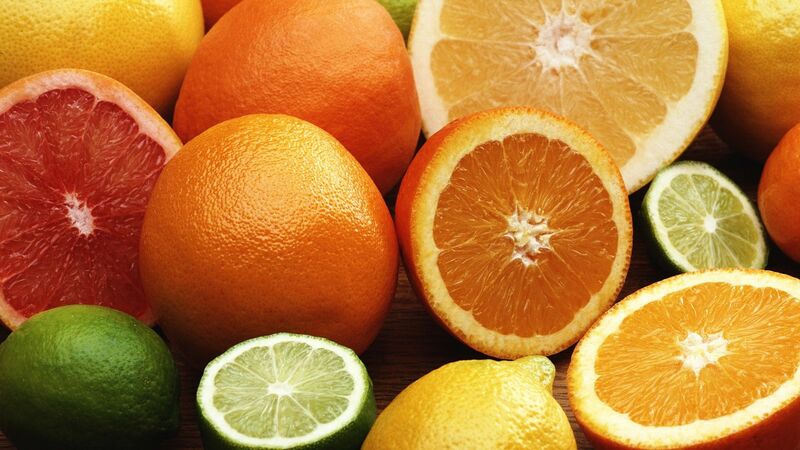 If you eat a large orange there is only 100 milligrams in comparison. The studies that have shown an effectiveness of vitamin C suggests you need 400-500 milligrams per day, especially when you are actually feeling ill or you are sick with a flu or cold. Beta-carotene improves your body’s defenses as it is invaluable in the growth of immune cells and also helps neutralize harmful toxins within the body. Sweet potatoes, carrots, squash, pumpkin, egg yolks and cantaloupe melon are excellent sources, and I am definitely a fan of sweet potato for more than just this beneficial effect. Nutritionists like myself will constantly talk about the amazing health benefits of your greens and broccoli, kale and spinach come high up on our list of go to vegetables for improving health. 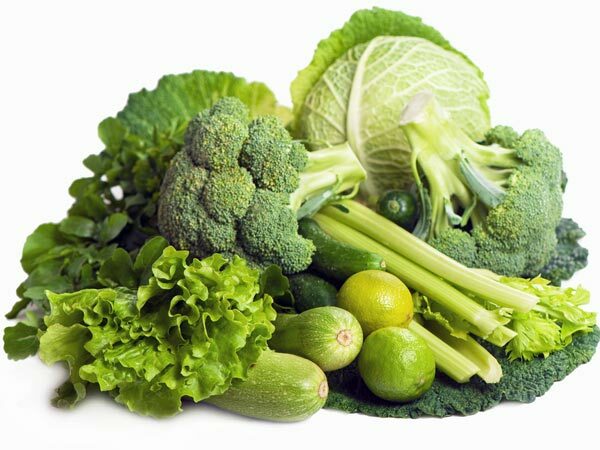 There is absolutely no doubt that leafy greens are higher in nutrients the darker they are. So when you are preparing your meals for improving your defenses choose arugula and kale over iceberg. There is even some evidence that suggests bitter tasting greens such as arugula may even help relieve chest congestion, sniffles and coughs. The modality is not exactly clear as yet but a British study found that mice that were fed green vegetables had a higher count of infection-fighting white blood cells in their intestines than those that didn’t. How many times did your Grandma make you eat chicken soup when you were poorly? I know mine did, I was never sure why but she seemed to like the tradition. Since studying nutrition is seems that she may have been inadvertently been giving my immune system the boost that it needed to help me get better. Researchers have found that soup actually does work to ward off viruses. One theory suggests that the hot temperature of the soup raises the temperature in the nose and throat which creates an unwelcoming environment for viruses that prefer cool dry places to thrive. It has also been shown that the chicken itself has protein groups that have shown anti-viral activity. This is of a higher efficacy when the soup is homemade, soup from a can as you can imagine will not have the same therapeutic effect. You could batch cook an old fashioned chicken and vegetable soup and keep some in the freezer in case of emergency cold and flu development. Lean proteins, such as turkey with the skin removed are also valuable not just for building muscles but also to help build ant-bodies and fight infection in the body. So if you aren’t a chicken fan you could switch for turkey, pork, and beans, nuts and dairy. As well as your meals containing these flu and cold fighting foods, the way you flavour your meals could also improve your chances of avoiding falling ill and recovering quicker when you do. I love my herbs and spices and have to admit my cupboard is fit to burst. Some of my go to staples such as turmeric, cloves and cinnamon are packed with anti-oxidants which as we have learned help to improve the function of the immune system. Consuming a teaspoon everyday can help to ward off the flu. If you cannot face taking it from the spoon or just mixed with warm water, you could try sprinkling some onto your breakfast. Obviously cinnamon and nutmeg would probably work better in this circumstance than turmeric! If you are already feeling ill a traditional Indian system called Ayurvedic medicine recommends using spices to help sweat out a fever. They would use ½ tsp of cinnamon, and coriander with ¼ teaspoon of ginger in boiling water and sipped regularly. The licorice-flavored Anise seeds has antibacterial properties as well as having shown to ease coughing bouts and clear congestion from the upper respiratory tract. Potters vegetable cough remover contains licorice and mushrooms to help remove the phlegm and reduce bronchial spasms. You can eat the seeds but for a more effective cold-fighting delivery you should consume them as a tea. In conjunction with the recommendation from the American Pharmaceutical Association in their practical guide to natural medicines, a typical recipe is to add one cup of crushed anise seeds to one cup of hot water, and flavour with garlic, cinnamon and honey if desired. Sip the concoction up to 3 times a day. Like anise seeds, fennel is a natural expectorant and as such is useful to help clear chest congestion and soothe a persistent cough. They have similar flavours in fact and they are often confused but are very different plants. Fennel can be eaten raw or roasted, but again there may be an advantage when fighting colds and flu in consuming in the form of a tea. To make your own take 1 ½ tsps of fennel seeds in one cup of boiling water and leave to stew for at least 15 minutes, strain to remove the bits and sweeten with some honey if you wish. Honey on its own merit is often touted as a cure for everything from burns to cuts and as an anti-bacterial and anti-microbial. As a result when you take a tsp it coats the throat and soothes the tickles of coughs and relieves sore throats, but also its anti-oxidant and anti-microbial properties help to fight infections from viruses, bacteria and fungi. Children under the age of 1yr should not consume raw honey as their immune systems are not developed sufficiently to combat infantile botulism which is carried in honey spores. 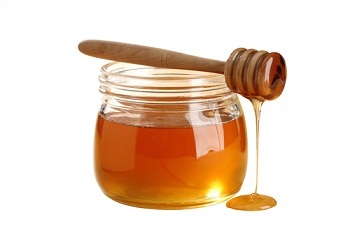 Buckwheat honey or Manuka has the highest anti-oxidant levels, whereas the honey in the supermarket tends to resemble honey very little nowadays and as well as basically being sugar water therefore has very little anti-oxidant content. Irrespectively a good quality raw local honey from a farm shop near you will be a fantastic addition to your tools in the winter months. Ironically black pepper which is perhaps has a great reputation for making you sneeze can actually ward off the sniffles. If you mix black pepper, ground ginger and vinegar, the concoction can help you absorb other herbal or over the counter medications. Black peppercorns are high in piperine which are highly renowned for being anti-fever and pain-relieving. Sambucus or Black elderberry – take as a syrup 1 to 3 teaspoons 3 times a day. Echinacea angustifolia root – take as a tincture 5 ml 3 times a day or as 1,000 mg 3 times a day. Eupatorium perfoliatum – take as a tincture 3 ml 3 times a day. Andrographis paniculat – take as a tincture 3ml 3 times a day or take a capsule 500mg 3 times a day. These herbs have note shown to interfere with the Tamiflu which is the common prescriptive drug for a case of flu, however, if you do become sick with flu you should absolutely contact a healthcare professional as it needs to be recorded and managed correctly. Self-treating should also be in consultation with a professional that understands herbal remedies. Thanks for your advice, Emma! So in the hope that all of this has been useful and that you stay well during the winter months, perhaps when you experiment with combining some of these ingredients you can share your ideas and recipes with us so we can all help each other improve our health. Contact myself @DrEKirkeOstm or through my blog www.medicinalkitchen.wordpress.com. News: I’m one of Wheyhey protein ice cream’s Wheyhey Chefs!